A bright and contemporary card to celebrate a friend's or family member's birthday. 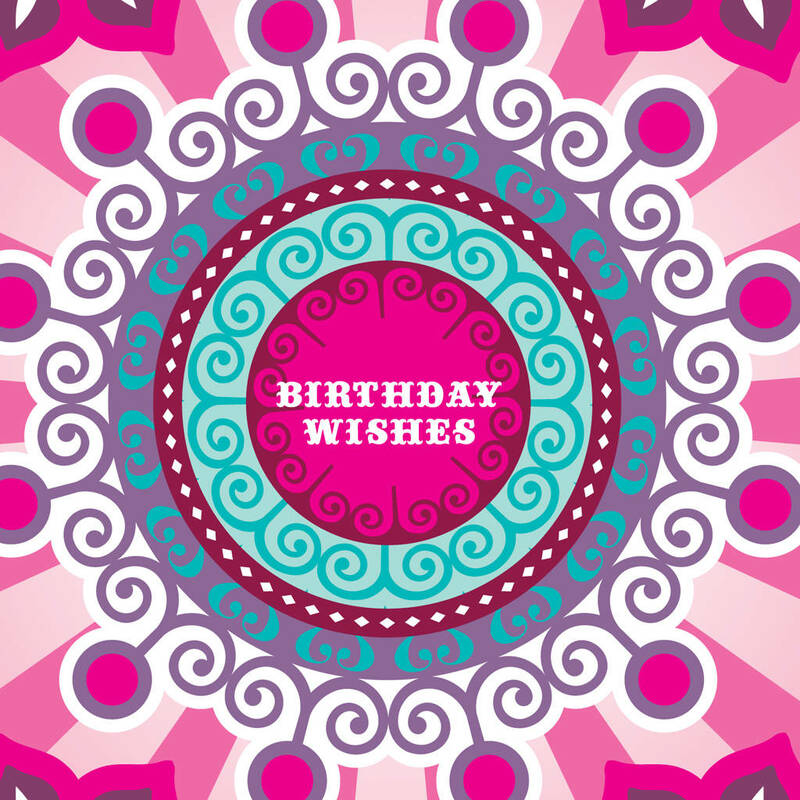 This card has silver foil detail within the design and it is left blank for your own personalised birthday message. 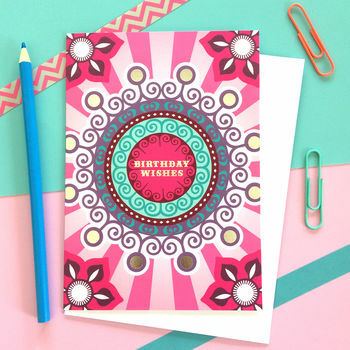 This card has been made from a lovely matte card and comes cellophaned wrapped in a coordinated coloured envelope. This card measures 120mm x 170mm and the envelope measures 125mm x 175mm making it suitable for standard 1st or 2nd class post in the UK.